Brattleboro, VT – Ken Flutie didn’t realize how his love and passion for food would change him when Italian grandmothers took him under their wings and taught him to cook the old-world or classic Italian way. Born and raised in New York, Ken Flutie worked in restaurants as a line cook and sous chef with classical to traditional training during college, but when he first started working in retail (his professional career for thirty years) after graduation, the “Nonnas” (term of endearment which pays tribute to all the women and the women they learned from), who taught Ken to cook the Italian way – with passion, flavor and love. The Nonnas took him under their wing, made sure he knew how to cook and enjoy classic Italian home-made foods. 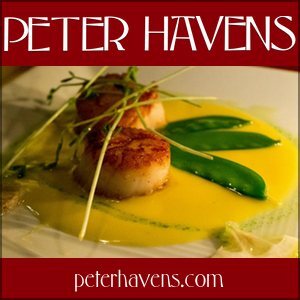 Flutie kept his recipes and love of Italian cooking personal by serving family, friends and sometimes catering events until after he retired in 2005 from the retail business working for Phillips Van Heusen/Calvin Klein when he became a professional chef. Wednesday Farmers’ Market: Fall Harvest Downtown! Through October! Please keep the Wednesday Farmers’ Market on your to-do list- we are open through October! This small, friendly market boasts orchards and several farms, offering shoppers a ton of great fall produce, storage crops, apples and cider, plus maple syrup, baked goods, flower bouquets, and pasture-raised pork. EBT and debit welcome! 10-2, Wednesdays, downtown by the Brattleboro Food Coop, through October! I found this really moving. Farm to Family Coupons Still Available for WIC Families! Farm to Family coupons for WIC families may still be available at your local Department of Health office. If you have not yet received coupons or have multiple eligible people in your household, you may still be able to get coupons. The Farm to Family coupon program helps you buy locally-grown fresh fruits and vegetables at 62 participating farmers markets around the state. Coupons are distributed through September 30th, 2013 and can be redeemed until October 31st, 2013. Please visit www.healthvermont.gov or call 1-800-649-4357 to find out if there are still coupons available at your district office and if you are eligible. For more information about the Brattleboro Farmers’ Market, please call 802-254-8885. The best produce of summer and early fall is in at the Wednesday Farmers’ Market, 10-2, downtown by the Co-op. Local farmers are bringing tree-ripened juicy peaches, fresh zesty apples for fresh eating and pies, plums, raspberries, blueberries, watermelons, pears, and more. Tomatoes of all sizes and late summer squash, eggplant, peppers, potatoes, herbs and greens, cucumbers, and much more are filling tables. Shoppers can make their own bouquets of cut flowers, stop at Anon’s Thai Cuisine lunch cart, and take home maple syrup, preserves, and baked goods. EBT and debit welcome. Please call 802-254-8885 for more information. Celebrate National Farmers’ Market Appreciation Week! Show your local farms and farmers’ markets some love with a note of appreciation, and yourself with some fresh sungolds or peaches: Write a note of appreciation to your farmers at the Wednesday Farmers’ Market, downtown by the coop, 10am to 2pm. The market will host more love letter writing at the Saturday Farmers’ Market, outdoors on Rte 9 in West Brattleboro, from 9am to 2pm. EBT and debit are welcome at both markets. Summer harvest is at it’s peak– come get some vine-ripened tomatoes, blueberries, fresh basil, greens, and salad fixings, peaches ripened on the tree, plums and apples, amazing veggies, flowers, and more. Market vendors offer dazzling globe-spanning cuisine and gorgeous handmade crafts and adornments. We’re going into another week of heat. At this time the forecast says it will be 90ish until next weekend. One more heat wave and the zucchini will start coming in. If it’s a bumper crop, bread will be made on the cooling nights. But there will be more, and how much zucchini bread do you really want? Sauteed zucchini is very nice- the first 4 times. And so I come to you after a long absence. I’m tired of my tried and true recipes. Yes, they’re good and make lovely food. And I’m sick to death of them. Please share your recipes. I don’t care if it’s seasoned fried slices. As long as I didn’t create it, I’ll be a happy camper. Thank you. Attention EBT customers! The Brattleboro Farmers’ Market will be matching EBT dollars spent at market (up to $10 per person, per visit) with the Harvest Health Coupons, available starting in July. The Brattleboro Farmers Market operates the Wednesday Market, downtown by the Co-op on the Whetstone Pathway, 10-2, and the Saturday Market on Rte 9 in West Brattleboro (past the covered bridge). Come to market, swipe your EBT card at the manager’s booth, and receive wooden tokens that can buy any EBT eligible foods, like fresh produce, fresh breads, eggs and meats, maple syrup, etc. While supplies last, double your EBT money and receive the matching Harvest Health coupons. The Brattleboro Farmers Market operates the Wednesday Market, downtown by the Co-op on the Whetstone Pathway, 10-2, and the Saturday Market, 9-2, on Rte 9 in West Brattleboro (past the covered bridge). Come to market, swipe your EBT card at the manager’s booth, and receive wooden tokens that can buy any EBT eligible foods, like fresh produce, fresh breads, eggs and meats, maple syrup, etc. While supplies last, double your EBT money and receive the matching Harvest Health coupons. Come on down RIGHT NOW to the Wednesday Farmers Market, 10-2, by the Coop. What’s fresh: Spring Garlic! Strawberries! Sugarsnap Peas! Salad Mix! Rhubarb! Cabbage! Greenhouse cukes and peppers! Beautiful flowers! Anon’s Thai and Loaves and Stitches bakery– have you tried a gluten-free Vermont “poptart” yet? Farm to Family coupons are being distributed on-site at the market today. The Brattleboro Farmers’ Market hosts a free educational strawberry event this Saturday, June 29th. From 9:30 to 11, sample different varieties of fresh berries and vote for your favorite! Learn about how strawberries are grown, and check out our scavenger hunt for kids! The Farmers’ Market is open from 9am to 2pm outdoors on Rte 9, in West Brattleboro. EBT and debit are welcome. There’s something for everyone at the market– shoppers find the freshest food from local farms, globe-spanning cuisine, and gorgeous crafts. Strawberry season is here! This week, Mary Lea, Andrea Larson, and Marko Packard will be playing Swedish music on violin and guitar from 11-1. Guilford, VT– A summer tradition for the whole family, the Strawberry Supper at Guilford Community Church will be held on Saturday, June 22. There will be two seatings to choose from, at 5 and 6:30 p.m. The price is $10 adults, $5 children 11 and under, and $3 preschoolers. For reservations, call (802) 254-9019 or email guilfordchurchsupper@gmail.com. The menu features ham, baked beans, deviled eggs, potato salad, coleslaw, fresh baked rolls, strawberries, shortcake and whipped cream, coffee, iced tea, and milk. All proceeds benefit the church, which supports over 20 local programs and organizations that serve the community. The Wednesday Farmers’ Market is back in business for the season and is better than ever! Open every week 10 to 2 by the Brattleboro Food Coop, there are new farms, Loaves and Stitches gluten-free bakery, medicines and bodywork from Brattleboro Naturopathic, candles and crafts from Wicks and Stones, and for lunch visit Anon’s Thai Cuisine and Newfane Gelato. Don’t miss out on the season’s first berries this morning! Open 9 to 2, outside on Rte 9 in West Brattleboro, the Farmers’ Market has tons of super fresh delights! See you there! EBT and debit welcome. Celtic Music Program plays 11-1. Broad Brook Grange will present its 17th annual Father’s Day Brunch on Sunday, June 16, from 7:00 am to 1:00 pm at the Grange hall in Guilford Center. The proceeds from the event will allow for continued renovations of the historic building. The all-you-can-eat brunch features eggs and omelets, any style, made to order. Also on the menu are pancakes, French toast, sausage, bacon and home fries, with Guilford maple syrup. Other treats include home-baked coffee cakes and other baked goods, fresh fruit salad, and bread for toasting. A selection of juices will be available, along with coffee, teas and milk. Wednesday Farmers’ Market Opens By The Co-op! The Wednesday Farmers Market opens this week! Wednesdays, from 10 to 2, the market is back by the Brattleboro Food Co-op on the lovely Whetstone Pathway. Farmers, Anon’s Thai Cuisine, and new gluten-free bakery Loaves and Stitches set up the best of local, mid-week shopping. 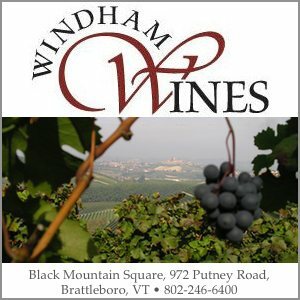 Newfane Gelato, Wicks N Stones, and Brattleboro Naturopathic Clinic join the offerings. EBT and Debit are always welcome at the market. For more information, please call 802-254-8885. Guilford Community Church is hosting an African Supper on Saturday, May 18 from 5:30-7 p.m. as a fundraiser for re-forestation efforts in Kenya. The price of the meal for adults is $10; children ages 11 and under are $5; ages 5 and under free. The maximum charge per family will be $25. The menu includes traditional meat and vegetarian dishes such as fried plantain, African roasted vegetable soup, Samosas, Chicken Tikka, beef stew, vegetable curry, spiced red beans in coconut milk and cornbread, with Maandazi, a sweet donut, served for dessert with ginger tea. At last…Brattleboro Cheese and Cafe is opening today for business!! It’s been a long,sad wait for all the cheese lovers in town but at 11 AM today we can go to their gorgeous new shop at 39 Main Street and indulge ourselves. Welcome back, Brattleboro Cheese!! BRATTLEBORO, VT — How does your state stack up against all the others when it comes to availability and consumption of locally-produced foods? Strolling of the Heifers has the answer. The Vermont-based local food advocacy group has released its second annual Strolling of the Heifers Locavore Index, ranking the 50 states and the District of Columbia in terms of their commitment to local foods. Strolling of the Heifers announces its 2013 keynote culinary event: The Great New England Quiche Cookoff. Quiche is defined as a baked, open-faced savory tart, comprised of a crust filled with a mixture of eggs, cream, cheese and a variety of other ingredients. This year’s event will showcase quiche as an easy meal. For presentation to the judges and exhibition to the public, entries will be paired with a slice of buttered bread and a salad of dressed, local greens, all donated by sponsors. “Strolling of the Heifers helps the public understand where their food comes from. Sustainable, local food is not just healthy and delicious, but it is also easy to use to provide meals for our families. This contest is another way we make that point.” said Orly Munzing, the Stroll’s founder and executive director.